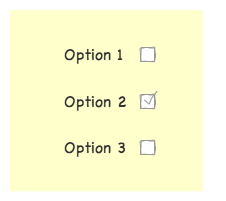 In its default settings, Contact Form 7 renders checkboxes and radio buttons as inline boxes. This can be customized with some options of form tag and simple CSS style settings. I’ll show you some tips in this article. You can reverse this order by adding label_first option to the checkbox tag. Note: some legacy browsers (i.e. IE) do not support display: table* properties.